Hello! 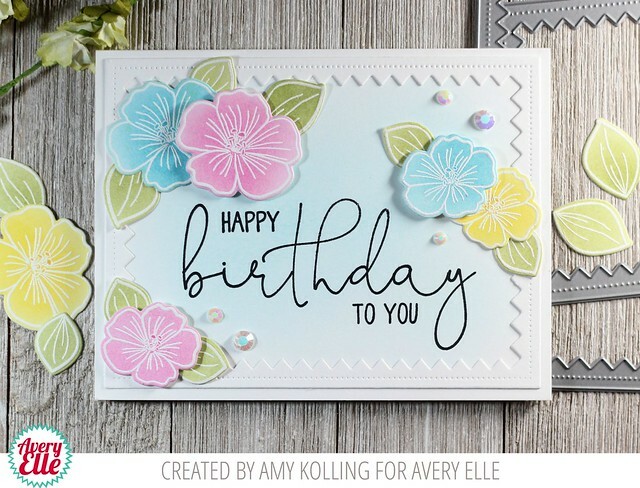 Amy here today with a card using the stamp set......Big Birthday. 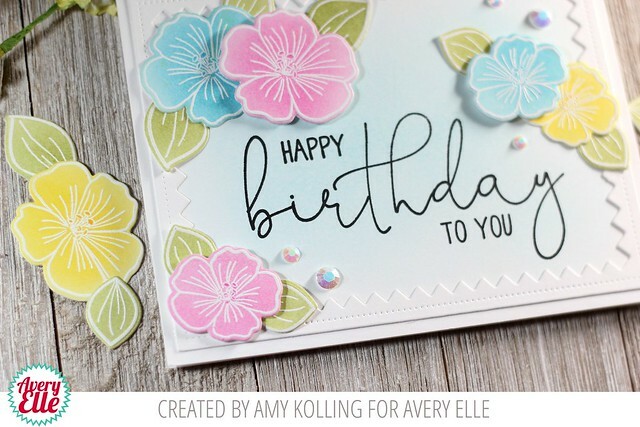 There's nothing like a 'birthday' sentiment done in a beautiful font. This set gives you TWO large birthday stamps in both a bold and thinner font. I created a frame using the Reversed Pinked Elle-ments. To the inside of the frame, I sponged Tumbled Glass Distress Ink lightly. I stamped my 'birthday' sentiment inside this frame using New Moon Ink. The other part of my sentiment was selectively stamped using Balloons and Banners. To add to the elegance, I white heat embossed the flowers from Floral Bouquet using the emboss resist technique and die cut using the coordinating Floral Bouquet Elle-ments. A few white gems were added for that added sparkle. I literally just received this floral bouquet stamp set in the mail and am so excited to ink it up. Thanks for this beautiful inspiration.